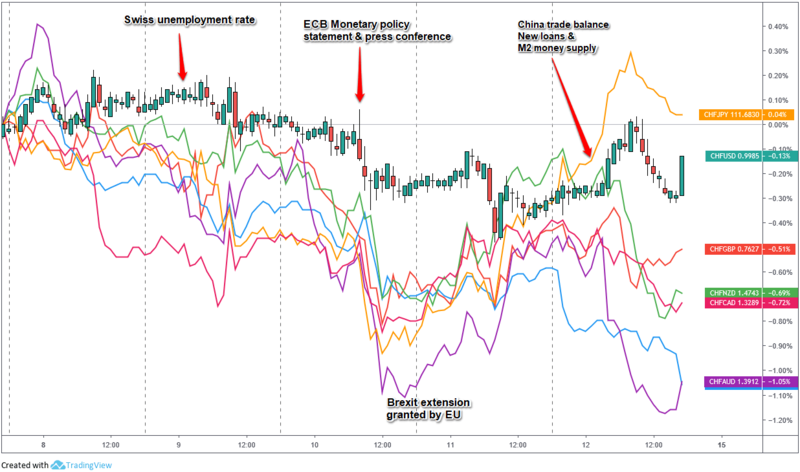 EU Extends U.K.’s Brexit Deadline Until Oct. 31 – Along with the possibility of short covering after the dovish ECB monetary policy event, the Brexit extension could be the reason why we saw a broad rally in euro pairs into Friday. 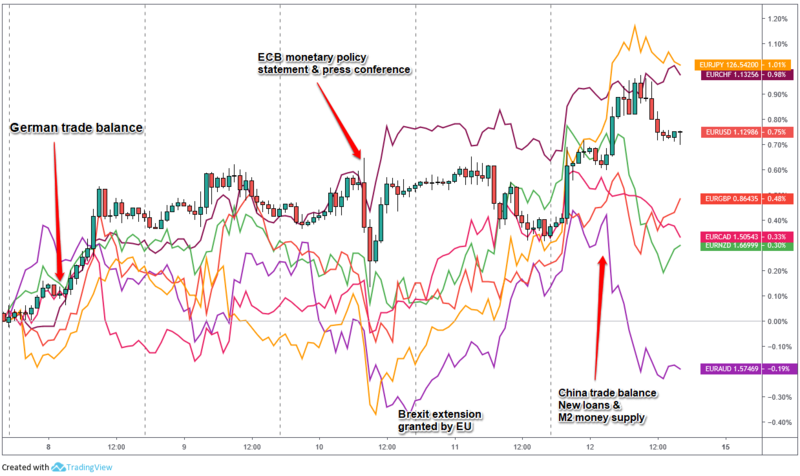 China’s March trade surplus soars past expectations and China’s new yuan loans expand in March – This data sparked global risk-on sentiment, and a strong reaction in financial markets. 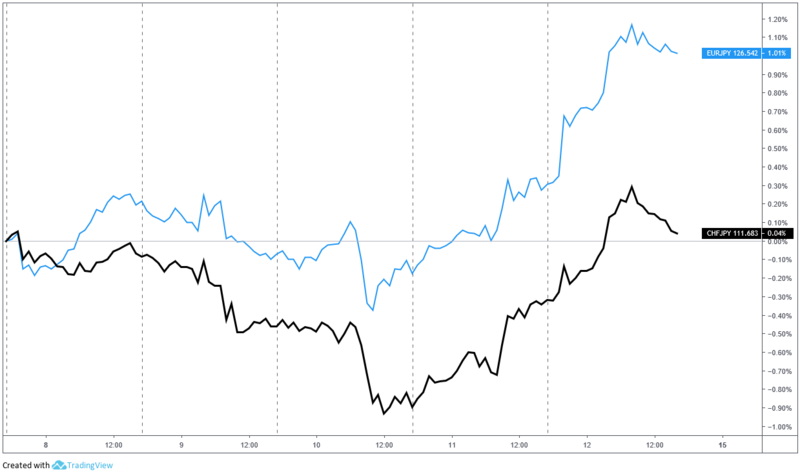 This is most likely the reason why we saw euro pairs back to mixed performance on Friday, falling against the high-yielders (NZD, CAD & AUD) and strengthening against the safe havens (USD, JPY, & CHF) into the weekend. With a calendar void of direct market catalysts from Switzerland, the Swiss franc once again tracks the euro closely as seen in the charts below. 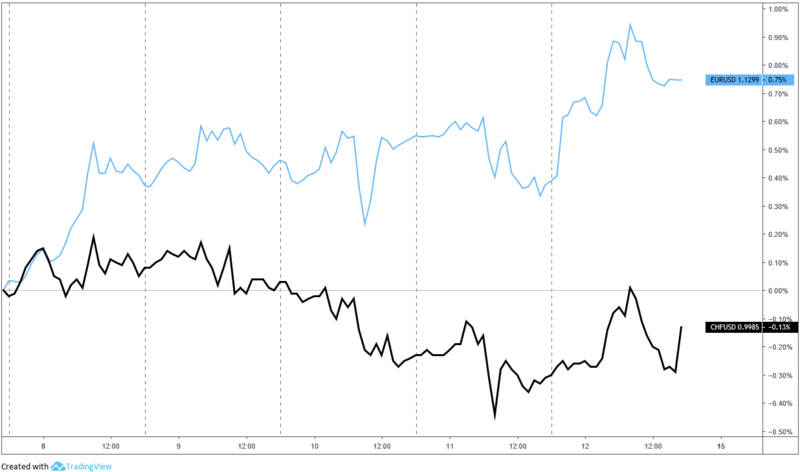 The Swiss franc did generally under perform this week as risk sentiment shifted more positive, arguably on the Brexit extension story, the better-than-expected economic data from the U.S. and China indicating global growth may stabilize soon.